For 114 days, a team of explorers led by Pasquale Scaturro and Gordon Brown faced nearly insurmountable challenges as they made their way 3,260 miles down the Blue Nile and Nile river, traversing three countries in some of the world's remotest regions. Deadly crocodiles and hippos, the world's most dangerous whitewater rapids, gunfire from bandits, malaria, and temperatures topping 120°F are just some of the obstacles they faced. 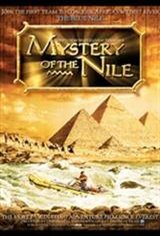 See their quest to become the first in history to run the Blue Nile and Nile from source to sea.